Hair Chalk There are 20 products. Add some wild tones to your hairdo with the Stargazer Neon Hair Chalk in Magenta! Make your look stand out from the crowd! 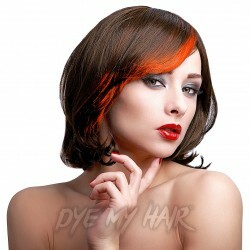 Add a whole new twist to your hairstyle with the Stargazer Neon Hair Chalk in Orange! The perfect way to quickly change up your locks! Give your 'do a colourful twist for the evening with some of our Stargazer Neon Hair Chalk in Green! Perfect for fancy dress parties! Are you looking for a temporary change to your natural hair color? Maybe you have never dyed your hair before and want to see how it would look before committing to a full head of semi-permanent hair dye. With Hair Chalk you can color your hair as quickly as you can wash it out so if you want to return to your normal hair color in time for school and work then this is the dye for you! Hair chalk is perfect for creating funky color streaks or designs in your hair meaning you can have fun styling your locks for festivals, parties and events. It takes no time at all to apply to your hair and is sure to look awesome. We know you will be thinking surely it can’t be as easy as that so we decided to answer a few commonly asked questions about using hair chalk. Simply take the section of hair you wish to color and make it a little damp. Either use a spray bottle or wet it with your fingers. This will help your hair chalk attach to your hair when applied. If you have light or blonde hair you can skip this step as wetting your hair will make the hair chalk last longer than intended. Next make sure to put on a pair of gloves before applying your hair chalk and an old towel is also a handy suggestion. Just like any other hair dye, hair chalk can stain skin and fabric. There are a few ways you can apply the chalk once your hair is wet. You can either directly rub the hair chalk on your hair or apply it with your fingers. If you want the full length of your hair to be colored then make sure to start at the root. 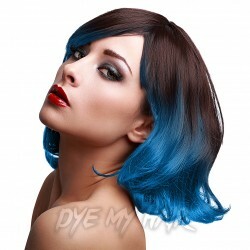 If you are going for a dip dye effect, then start from part way down the section of hair. If you are attempting full coverage of your hair then make sure you have enough hair chalk to cover your whole head. Next you will need to leave it to dry. Be careful because the color may leak while your hair is still wet. Don’t rub your hair with a towel as this will remove some of the hair chalk. To speed up the process you can blow dry your hair but make sure to do this gently to avoid blowing chalk dust everywhere. Want to help your hair chalk last for longer? Add a touch of hairspray to help your color set in. Once you are ready to return to your normal color just use your usual shampoo and hey presto, the color has gone. Bear in mind you may need to wash your hair more vigorously than usual and it may take a couple of rounds of shampoo to fully return to a normal color. Is hair chalking bad for your hair? – Hair chalk is actually pretty similar to normal hair dyes. The difference is that hair chalk is dry and has added chalk, hence the name. This is a general rule so do make sure to check the ingredients of any hair chalk you intend to use to ensure you aren’t allergic. Always use chalk specifically made for hair, this will help prevent your hair from drying out and ensures the ingredients are hair friendly. Will it work if I use hair chalk for dark hair? – It may not show up as brightly as your blonde friend's hair chalk but will still definitely bring a splash of color to your ‘do. You may find it to be even more effective than using a hair dye if you are trying to avoid bleaching first because it sits on top of the hair. Wetting your hair before applying is the key to getting the best hair chalk UK. Hair chalk where to buy? – Right here at Dye My Hair, of course! With several brands to choose from and a complete rainbow of colors we are sure you will find the perfect hair chalk for you. We also like to make sure our prices are affordable so you can have fun experimenting with new colors without breaking the bank. Here at Dye My Hair, we like to think we know a thing or two about the best hair chalks which is why we have created these mini reviews to help you make your choice. Whether you are looking for hair chalk white for next Halloween or bright and vibrant colors for a festival we have got the product for you. First we have Splat Hair Chalk. This sophisticated range of colors is sure to inspire you to try out some awesome edgy and punky styles. Want to be taken seriously with your new splash of color? Then this is the brand to choose. If you think the brighter the better then stick to Stargazer. These vibrant chalks will add a hint of color to even the darkest of natural hair. The bright colors are perfect for festivals and you are sure to have fun experimenting with these with your friends. Are you a party animal? If you spend more time under UV lights than in the sunlight then Paintglow is the range to browse. Their UV hair chalks are sure to make you easy to spot on the dancefloor and will bring some extra glow to your hair. Now you have heard our hair chalk reviews UK we think you are ready to go forth and select your next product. You don’t just have to stick to one either! Choose a few different colors to create cute color streaks. We would love to see your hair chalk styles so be sure to tag us on social media.